Get your hands on the handbook. 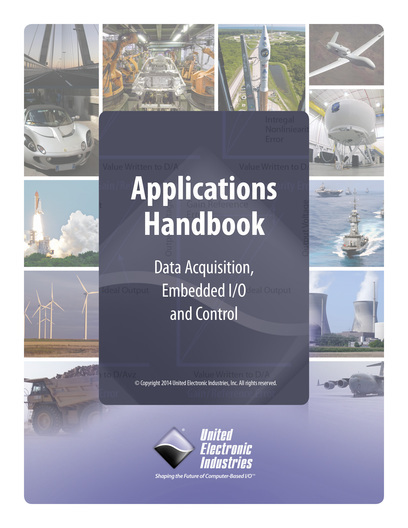 Please sign up to download our Applications Handbook, and find out how our customers have put our powerful, compact, and rugged I/O solutions to work for them in their systems. Any Input, Any Output, Any Sensor. Copyright © 2014 United Electronic Industries. All rights reserved. Please keep me informed about news, promotions, and product updates.